In the last piece of our Mastering Music PR series, we covered the foundations of outbound marketing and the role that publicists play, as well as the different music promotion services they offer. Building upon that, we’re going to be going deep on music blogs, Hype Machine, Submithub, and how to best approach getting featured on these blogs. 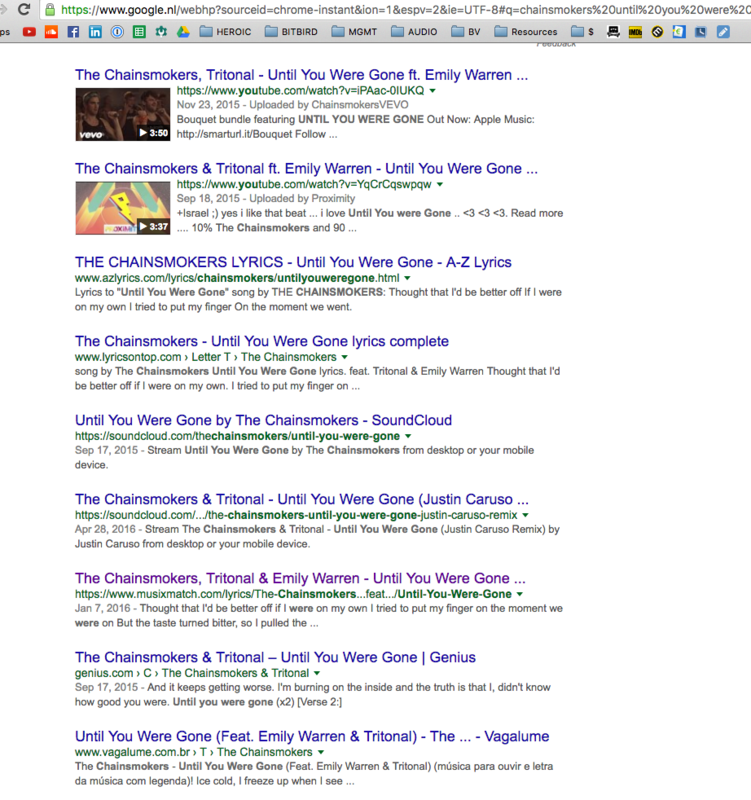 To begin, we make a distinction between two types of music blogs, normal one and Hype Machine indexed ones. The normal blogs tend to only reach the audience that regularly reads their site, is on their email list or RSS feed, whilst the Hype Machine indexed blogs do all that, while also indexed on the Hype Machine (captain obvious). We’ll talk about the differences, how to get featured on each and discuss a unique tool for submitting music to blogs. Music blogs are essentially websites that cover music. You may recognize the names of major EDM blogs such as YourEDM, EDM.com, Dancing Astronaut and Magnetic Mag primarily for their work in the news department. However, they also actively curate music through single track and album reviews. These, and a whole range of large non-EDM oriented publications, such as The Fader, FACT, XLR8R, Pigeons and Planes and Nylon Magazine also have massive reach, but may be harder to get through to. More independent blogs include the likes of EARMILK, NestHQ, The Music Ninja, Caveman Sound and Indie Shuffle are generally more open to upcoming artists, as long as the music is good, and this tier is our recommended starting point for artists looking to secure blog coverage. Support from any of these publications generates a definite credibility, as well as a degree of exposure, depending on the traffic volume that the site receives. A blog’s social reach is also part of their influence and beyond securing coverage on the actual site, any social support (Facebook or Twitter posts) can help drive traffic. All these sites have submission emails that you can find in on their ‘contact’ or ‘about’ pages, however as blog promotion has become common practice in the industry, these blogs are now receiving hundreds of submissions via this path. General submissions are rarely the most effective way to get coverage. Instead, personalised reach outs are the way to go. Hype Machine, founded by Anthony Volodkin, indexes over 720 handpicked music blogs into one nifty site, and every time any one of these music blogs posts writes about a track it shows up on Hype Machine. It’s like Reddit for music. 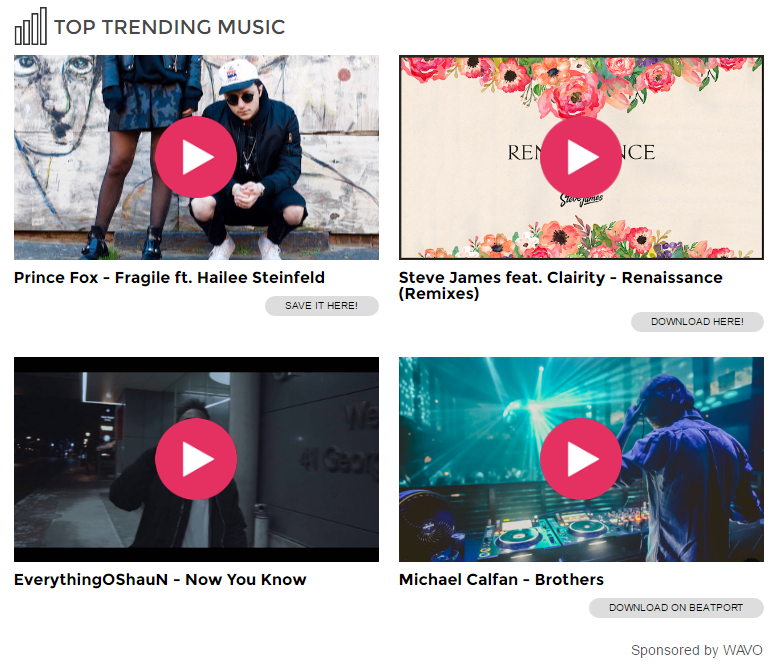 You can use it to discover the best upcoming and most supported music at this very moment. Because of this functionality, it’s been adopted by music aficionados and industry professionals, from managers, to labels, publicists and bloggers, as the best place to discover the next big thing. The site sources the music that is embed on the blog’s post, usually a SoundCloud upload. All the blog posts of a specific release are then grouped under that release on the platform, and as users listen to the music via Hype Machine, the plays are directed back to the original upload from where the embed was sourced. In other words, getting traction on Hype Machine can lead to impressive play counts on say your SoundCloud upload. ‘Normal’ blogs and Hype Machine indexed ones aren’t mutually exclusive. Publications such as Thump, The Fader, FACT, and Pigeons and Planes are all featured on Hype Machine as well. Hype Machine is notorious for maintaining their integrity at all cost. They frequently purge blogs from being indexed on their site, usually whenever it’s suspected the publications have any commercial interest in the music they have covered. This can be through direct payment (could be called Payola) or through the publications growing to a scale where they start offering PR or management services to the artists they cover. Hype Machine tags each blog in specific genre categories, as well as the music they they write about. We suspect it’s an algorithm that either takes a guess from the genre the blog frequently writes about, or searches for genre names in the blog post, or analyses the track audio. Let’s take a look at a particular blog in order to understand the platform better. The blog Indie Shuffle likes to feature electronic, indie, hip-hop and more, as indicated on their Hype Machine page. Their follower count is displayed at the top, which means that whenever they post a song, it’ll show up in the Hype Machine feed of their 25.000 followers. They in turn can ‘heart’ the release, the Hype Machine equivalent of a like. Indexed releases can chart in the Popular Charts, which can be segmented based on what’s trending now, or has been in a set period, or restricted to solely originals or remixes. These charts are where people look to discover the best new music and have been the drivers behind the popularity of Hype Machine and many of the blogs it indexes. While nobody knows exactly what algorithm Hype Machine uses to determine which tracks hit the popular charts or not, the wide assumption is that it is a combination of blog posts, the blog’s follower base, and the number of hearts per hour. Top chart inclusion can lead to tens of thousands of plays, which all funnel back to your original upload. In order to maximize the power of Hype Machine, the goal is to stay in the charts as long as possible. You achieve this by coordinating a premiere feature of your track to go out on the release date, whilst following up with staggered features in the following days. Avoid front-loading all your Hype Machine blog posts. If you exhaust all of your blog support all in one day and your track doesn’t enter the charts at a high number it can be hard to keep climbing. Spreading out posts is effective because every time a new post is indexed on Hype Machine, it’ll be pushed up higher into the charts and shown to that blog’s respective followers. By staggering, you can keep topping up your position in the charts and gradually climb to the top. You can find the full directory of Hype Machine blogs here. Best to trace them by looking for similar acts and seeing which blogs covered them. Also you can read more on the platform and their rules in the FAQ. The trick to successfully marketing to bloggers is making sure that the content you’re pitching is relevant to them. This all hinges on research. The goal is to find the people behind the blog, YouTube music promotional channel or SoundCloud account that run the show. At the smaller entities, it’s usually the founders. Bigger ones have teams of writers and A&Rs. You need to find the people whose musical preference aligns with what you are making. Doing so is quite easy actually. All you need to do is look at the previous material they supported. In doing so, you can carefully refine your pitch to show you put in the work, by referencing a similar release they supported earlier, writing an email that is concise, instructive and pleasing, whilst actually pitching great music. They say that first impressions last and most bloggers would argue it’s true. As they get bombarded with submissions, taking the time to figure out their preference, addressing them on a first name basis and sending music that is actually really close to what they like, is like a godsend. Still, you’ll be a needle in a haystack. It may very well be that the bloggers you targeted receive over 100 emails a day, even to their personal email, and that yours will fall through the cracks. This is why reaching out at scale is so important, as well as diligently keeping track of when you emailed whom, and following up. Above all, the best way to improve your success rate is by developing friendships with these influencers. These can originate on grounds of mutual benefit, resulting from you pitching good music and them supporting repeatedly. They will come to appreciate your pitches and through your repeated interactions you’ll have a window to actually become friends. We’ve actually gotten to know quite a few bloggers we work with on a personal basis. Some we’ve met up with for drinks or dinner, others we talk with consistently over Facebook chat or Skype. At the end of the day, they’re also people in the music industry whom share a similar passion. Interacting with them on a human level, like you would with your friends, goes a long way. We advise you do not start pitching unless your material is, per your judgement, 80% as good as three similar acts that you look up to. If it isn’t, go back to the drawing board and improve. If it is, go ahead and pitch. Be aware of the fact that your success rate will improve incrementally with the quality of your music. Is a recurring question we get asked by artists just discovering the blogosphere. Finding tastemakers that cover acts with a similar sound and feel as yourself. Let’s say you make indie electronica that sounds like James Blake. You are just discovering the blogosphere and have no idea about what blogs or writers to pitch to. You’d research 3-5 similar acts, that are currently doing well and find their best and most covered songs. You use those specific songs to research what blogs, YouTube / SoundCloud promoters and other influencers are likely to cover the music you are looking to put out yourself. If you struggle to find similar acts, a good tip would be to take one of the tracks you did come up with and run searches for them on YouTube and Spotify. 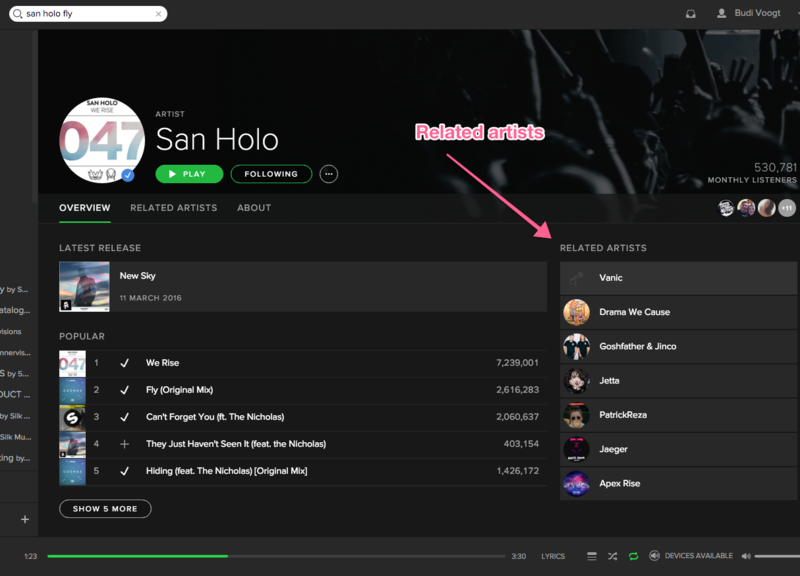 YouTube will suggest you related videos in the right hand pane, whereas Spotify will suggest related artists. Suggested videos are a great source of similar content. Look at related artists on the right hand side of an artist’s profile. This common-sense approach eludes most people but is super effective, as it allows you to focus all your efforts on pitching just the tastemakers whom you already know beforehand are likely to support similar content. This is the minimum of what we personally gather over at Heroic when indexing influencers. We’d recommend you do the same. You might ask us: “Isn’t this overkill?”. It’s not, as having this information will allow you to pitch with a higher success rate. You’ll be able to address all pitches on a first name basis to a personal address, whilst knowing beforehand what content the influencer likes to cover and when you last touched base with them. The easiest way of doing this is with a sheet in either Microsoft Excel or Google Sheets. We recommend the latter. Google Sheets is like Excel in the cloud and removes the risk of you losing the information if your hard drive or computer crashes. You can get started using just your Google or Gmail account and it’s free. It’s crucial that you constantly update your database. Its value is determined by the ratio of active versus inactive (when a blogger has stopped writing or their site is discontinued) contacts, the precision with which you research their contact details (personal emails over generic promo addresses) and whether you keep track of when you last touched base with them. As you start to reach out at scale, it’ll be a great asset to know exactly when it’s the right time to follow up, as well as that all the contacts you’re hitting up are still actually blogging. In terms of tracking genres, it’s best if you maintain a few broad categories under which all contacts can be grouped. This will allow you to filter your database based on a specific style so you can easily see what influencers might be interested in covering it. At Heroic, we use the following: All, EDM, Bass, Beautiful, Hip Hop, House and Trance (Mind you, we’re an electronically oriented label). If you work with a team you will also want to keep track of whom reached out to what contact, through what medium, at what particular time. This prevents duplicate emails or fatiguing a contact by leaving too little time in between interactions. At Heroic we take this very seriously, as we have multiple people marketing at all times and we want to make sure our network doesn’t get tired of us. Key questions to keep in mind are whether the blog covers the format of the content you’re pushing (mixes vs tracks, or originals vs remixes), as well as when they’ve last published content (blogs often become inactive). In tracing contact information for a publication, you’ll always want to look for the particular writer’s details, over the generic submission email or page. But you know this by now. Most blogs display which writers published what articles on their site. Some will show real names, others aliases. To find relevant writers, run a search on Google for the top songs of the similar artists that you have narrowed down on before. You should have collected 3-5 tracks that have recently or are still performing well, which can be used to lead the search. If you’re already aware of particular high-impact blogs in your scene or discover a few through searching with the similar acts, you can also use the search bar of those specific sites to find more related content (just search for those tracks you had selected, or related acts). By simply Googling you’ll already find blogs. Open a selection of blog posts (pro tip, use cmd + click / ctrl + click in order to open articles in a new tab) and you can find blogger profiles by clicking the writers’ names at the top or bottom of the articles. This will take you to a blogger profile, where you should see past publications and contact details. Track down the author’s who have covered similar content. The first thing you should do here is narrow down whether this blogger is relevant to your style of music or not. If not, continue looking. If so, proceed to scraping the contact details. As an example, let’s look at Wendel from Earmilk. You can often find a writer’s details on their profile. Her blogger profile displays her Facebook, Twitter and personal website links, but no email address. Before you enthusiastically message her direct on her Facebook profile, you should first attempt to find her mail. There’s a good chance she’ll have it on her personal website. You can often find personal emails on people’s personal websites. And indeed… her email is on her site. If a blogger doesn’t have a personal website link on their profile, or doesn’t have a profile, you should run a few basis Google searches for someone’s full name (first name + last name) and if there is a site, it’ll likely pop up, as well as any related personal Facebook and Twitter pages. Another trick to find email addresses is to use an email scraping service such as: Findthat.email, Email Hunter or VoilaNorbert, which run queries against the website host’s domain for the most common email patterns (like [email protected] and [email protected]). This stuff is incredibly powerful, so use with care. You then log all of these details in your database. The email is most valuable and should be your primary point to connect on, however if that either leads to no response or can’t be found anywhere, then you can resort to Facebook and Twitter as alternatives. Facebook is the most powerful alternative, however unless you have strong social proof (visible accomplishments on your profile) or a lot of mutual friends, your attempt to connect might come across poorly. The platform is most used for personal conversations between friends and an unsolicited friend request can (but doesn’t have to) come across as desperate or spammy. The biggest hurdle with Facebook is that if the algorithm doesn’t pick up that you have any form of plausible relationship with the person you’re connecting with (no closely linked contacts or mutual friends), then any messages you send before a friend request is received will show up in the ‘message request’ folder where it might not be seen at all, or ignored, as it doesn’t trigger a notification on the recipient’s end. Hey Wendel, pleasure to e-meet! Love the latest write-up you did on ‘insert cool release she wrote about here’. Wanted to reach out as I’m making music in a similar vein to ‘artist x or y’ and saw you had covered similar material. We have a new EP coming out on ‘insert release date here’ and I’d love for you to premiere it. If there’s a period of no response, you can follow-up after 7 days. Mind you, never follow up more than twice without a no-response as that’s simply rude. When an email is unfindable and you don’t have a foundation for a FB reach out, resort to Twitter. The platform can be hugely powerful as you can literally get through to almost everyone, as most people are stuck to their mobile phones and have all their push notification settings on. Most will receive one if they are @mentioned (so @twitterusername ‘yourmessagehere’). Also, you should use the platform from your artist project’s Twitter account, so it’s immediately clear that you are reaching out as an artist. 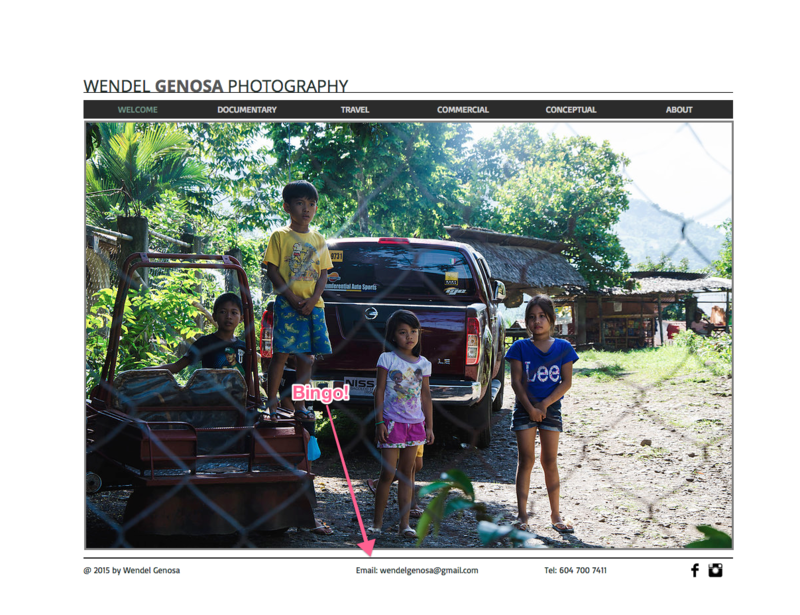 @WendelGenosa Hey Wendel! We have a new EP coming out on ‘date x’. Would love to give you the premiere. Where can I email you? Thanks! We’ve had great success with Twitter over at Heroic. Literally got tracks on the radio and big name artist collaborations set up initiated via mere @mentions. Of course, even here your success rate will increase as your social proof does (bigger artist, more followers, more hype = more social proof = better chance people responding). Also be conscientious about not considering all bloggers equal. While some love to befriend artists and are very receptive to being approached on social media platforms, others prefer remaining anonymous and prefer being contacted only by email. You’ll have to figure out people’s preferences as you go. To become good at pitching to blogs, you need to understand what makes them tick. Music blogs, like other media outlets, thrive through the acquisition of traffic by publishing content. This traffic is then used as leverage to sell advertising space. This advertising can be sold in the form of banner ads, video content, pop-ups and increasingly as native content, which is when the advertising content appears the same as the usual content of a medium. Wavo Boost is a top native advertising delivery platform in the blogosphere and you may recognize their on-blog, almost ‘genuine’ looking videos. The Wavo embed that appears on blogs. Looks pretty native. Take it from Wavo themselves. Advertisers usually pay for the display of ads on a CPM (cost per mile, aka cost per thousand) impressions basis. A $1 CPM means that it’ll cost them 1 dollar for an ad to be seen by a thousand people. The blogs whom are selling advertising opportunities are thus incentivized to drive as much traffic to their sites as possible, as it increases the potential CPM their site can offer to advertisers. More traffic = more money. This presents music (and media) publications with a dichotomy. They can choose to focus on posting content that drives traffic, often at the loss of quality (click-bait anyone? ), or focus more on the left-field authentic material, but decrease their value to advertisers. The result is that the biggest publications inevitably are acquired by large media platforms and have to curate more traffic-oriented content, whereas all the other smaller publications stay independent and serve as a stepping stone for their founders and writers to pivot to a more lucrative gig in the industry. Many have gone on to become booking agents, talent buyers at events, artist managers and publicists. We’re telling you this because this information will help you understand why blogs favor premieres and exclusives so much, and why bigger artists have an easier time attracting coverage. It’s all about the traffic. The key to a good pitch is positioning it in such a way so that it is a value proposition to the person you’re pitching to, not just an ‘ask’ of them. In other words, you want to propose something that will benefit them, rather than just you. The best way to help yourself is by helping others. You do this by considering what other people want. Bloggers want content that will drive visitors. An ideal proposition to them would be to write about music that is closely aligned with their personal tastes, brand new, exclusive to their publication, never published before and of an artist that’s either huge or growing quickly. Your challenge is to tick as many of these boxes as possible in your pitch. You may not yet be a big artist, but you can certainly make sure you solely pitch music that’s applicable to the particular blogger’s taste, as well as offer them premieres or exclusives. (I’ve gone really deep on The Art Of Pitching in an earlier post). A premiere is when a blog is the first to cover a release. This is pre-coordinated two to one week before the release date and other blogs are told not to publish until after (usually a few hours) the premiering blog has published. An exclusive is when a blog is the first to cover a release, exclusively, for a fixed period. Usually this is 1-4 days. You’ll have to hold off all other coverage until this period passes. This is something that large publications request as they have the leverage to justify it. These are different from the traditional feature, which is simply when a blog covers a release. The premiere or exclusive comes first, followed by features. The language isn’t fully set in stone though and some people mistake mistake premieres to be exclusives and vice versa. We prefer premieres over exclusives, unless the publication is so big that it’s justified doing an exclusive (Billboard, Complex, FACT etc). In requesting these, we’d have them pre-commit to allocating social media posts though, otherwise you don’t reap the benefits of their large social reach. Both premieres and exclusives offer a bigger value proposition than just requesting a feature, so you should incorporate them in all your release sequences (preferably premieres). Once the premiere or feature goes live, you follow with the features. The premieres and exclusives will also give the blogs more incentive to post on social, as their audience will care because it’ll be the first time they’ve heard about a piece of content. 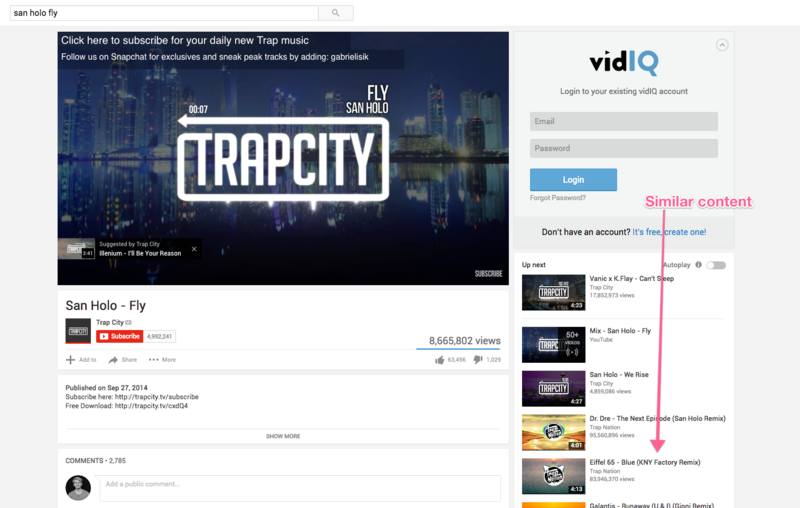 Some blogs will even offer, or demand, to upload your music on platforms such as YouTube or SoundCloud. We’ll go deeper on these music promotional channels in a later post, however we should touch briefly on the correct course of action here. There’s absolute benefit to getting reposts from the SoundCloud channels of blogs that have significant social reach. The benefit of SoundCloud uploads is disputable though and depends on the size of your audience on the platform. A big blog like Thissongissick.com has a huge SoundCloud following and actively grows it by demanding the upload rights to the music they feature on the blog. If you’re a small artist this is a great proposition, however with an act like San Holo for example, we would have to consider whether it isn’t more valuable to keep the content exclusive to our own SoundCloud. In such a case we’d push for a repost on SoundCloud, whilst still satisfying the blog’s demands by offering a premiere. There are problems with premieres though which have been outlined in Indie Shuffle’s article here. A good email pitch is concise, yet informative and personal, yet professional. Specify your ask. Do not say “here’s my new release… let me know your thoughts” or “It’d be great to get your support”. That’s not nearly actionable enough and requires thinking on the blogger’s end. Instead you want to clarify EXACTLY what you want from them, such as “We’d love to offer you the premiere on June 6th” or “If you like the release it’d be great if you could feature it in series x”. Send a streaming link (private SoundCloud upload if pre-release (enable download – make sure to properly ID3 tag the file), public SC upload if post release). You want them to know exactly what release to feature, especially when pitching to a Hype Machine blog (otherwise the plays will be directed to the wrong original upload). Check your spelling and make sure you sound like an intelligent human being. Again, try keep it short. Bloggers get a lot of email and you’re lucky if yours gets read in the first place. If you have a press release available, you can indicate that in your first or second email, but don’t attach it. People act quicker when communicated less, more actionable information and are paralyzed by too much. 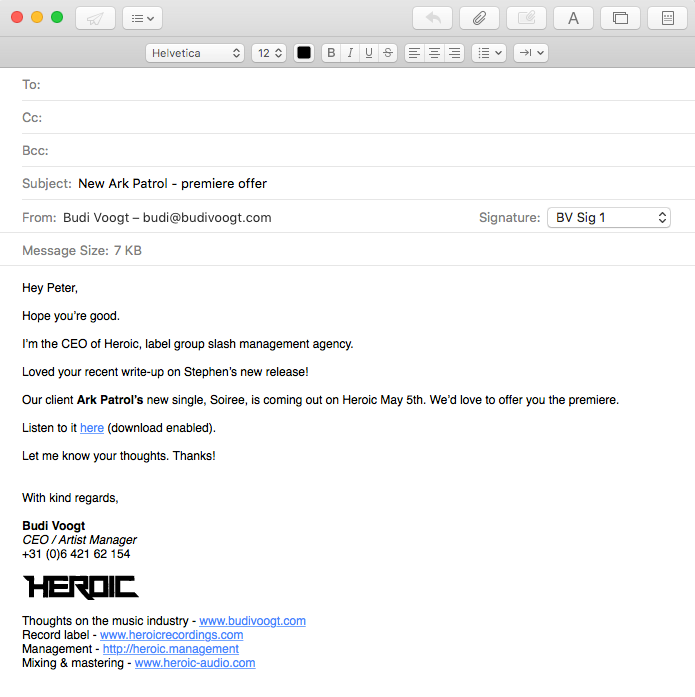 In the email above Jeff pitched a writer from music blog Cause=Time with a forthcoming remix by San Holo. By giving him a private link several days in advance this allows him ample time to listen, come up with feedback, and then ask me any questions he has before the post goes up. Here’s a typical cold pitch for a premiere Budi might send. Note the compliment of the similar sounding write-up. Example of a cold pitch Budi might send. We create a set of custom email pitch templates that you can use to reach out to influencers. Download it below. The process for pitching has multiple steps: initial reach-out, potential follow-ups and reminders on the release date. We send out the first pitches for a release 14 days before it comes out, using SoundCloud private links as the streaming source. This allows for plenty of time to provide further information and coordinate specifics such as posting times, premieres, reposts and social posts. Follow-ups are crucial to the pitching process and as with any practice, persistence is key. Experience taught us that the majority of bloggers will only get back to you on the first or second follow-up, unless you’re lucky, have an incredibly strong proposition, or have a solid relationship. As a rule of thumb, we always follow-up 7 days after the initial reach-out if we haven’t received a response. So initial reach out 14 days before the release, first follow-up 7 days before the release. That also allows you to follow-up once more on the release day if they don’t reply to the first follow-up. Even if they do get back to the initial pitch or first follow-up, you always want to ping the blogger to verify the roll-out and to remind them on the release day. This is crucial. Readers of the SoundCloud Bible and students of the Music Marketing Academy know that it’s unrealistic to complain about ‘not getting heard’ by blogs if you’re only reaching out to 10 of them. Music blogs are now a core part of every label’s, manager’s, and publicist’s marketing strategy and thus it’s become a competitive market. Unless you have incredible music, great pitching skills, or an artist with clout, you’ll need to add a ton of volume to your approach if you want to be successful. In the early days this meant that we would reach out to roughly 100 blogs for every single release and that’s not even regarding the YouTube / SoundCloud promotional aspect. It’s imperative that you build a big database and reach out to people at scale. If you think it’s a lot of work, consider releasing frequently (say once a month) and adding 50 contacts to your database with every release. Recently a new platform has spawned that has simplified the process of submitting to blogs and improved response rates: SubmitHub. It’s made by Jason, the founder of IndieShuffle. SubmitHub is a service that acts as a middle-man between music submitters (artists, managers, publicists) and recipients (blogs, YouTube / SoundCloud channels, recently even adding labels). The site already indexes close to 100 music publications and has serviced over 125.000 submissions with an average 71% response rate. Those are crazy good statistics. It’s funny that only now a platform like this has been built as the model of submitting music via email has become archaic and inefficient, whilst DJ Promo services already tried to solve this problem for DJs. We think a major shoutout is due to Jason for making SubmitHub as it genuinely makes life easier for both music promoters and submitters, helps bloggers get paid and thereby reduces their necessity to post click-bait content. It works like this: you have the option of submitting music via premium credit or standard credit. Standard credits are free but are limited to two blog submissions every four hours and the response rate is substantially lower than premium. Premium credits cost $5 for 5 credits, $9 for 10, and $25 for 30. The latter is the most cost-effective package if you want to blast out a single track to a lot of different blogs. The reason that SubmitHub is different from a standard email submissions is that this time around bloggers have an incentive to listen to your song instead of just ignoring the email. For every premium credit submission a blog receives, the blogger is paid 50 cents to respond with the listed conditions met. If the blogger doesn’t respond to your request within the allotted 48 hour time-slot, your credit is refunded. All of the listed blogs on SubmitHub have a blog page (similar to Hype Machine) from where we can gleam some key information about the blogs. As we can see from The Revue’s blog landing page, it’s a Hype Machine curated blog and the blog staff check the submissions and respond to them fairly regularly by day’s end. Using SubmitHub is simple. As you can see above you can select the audio format, pick the genre of your music and then select a few blogs to submit to. All of the blogs list key information such as social media reach, their response rates, and notes. Pay close attention to a blog’s ‘notes’ and about page to ensure your submissions fit their genres and guidelines, in order to save credits. We now urge you to put this information into practice. Your success getting your music posted on music blogs or trending on Hype Machine is directly related to the quality of your content, depth of research, quality and volume of your pitches. In other words… you need to PUT IN THE WORK. Make sure you grab the free email pitch templates, and good luck!